Budaj will call it a career following the end of AHL Ontario's 2018-19 campaign. 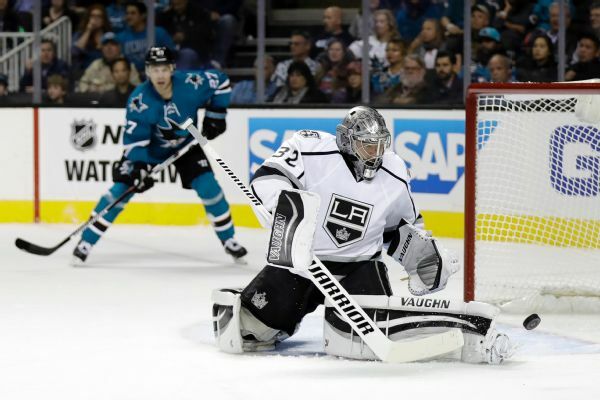 Kings goalie Jonathan Quick returned from injured reserve and started against the Islanders on Thursday night. Quick was pulled in the third period of a 7-2 loss after giving up six goals on 29 shots. Splash brothers making wavesStephen Curry scored 29 points and Klay Thompson had 28 points in the Warriors win at Houston, one night after Curry (32 points) and Thompson (25) spearheaded Golden States victory at Dallas. 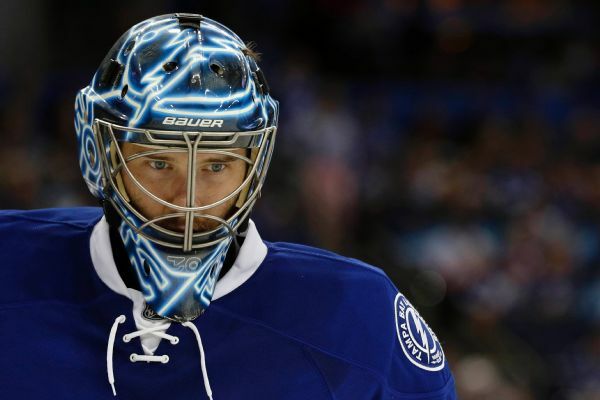 Lightning coach Jon Cooper said the team will probably call up a goalie to fill in for backup Peter Budaj, who suffered an apparent left leg injury against the Flyers on Friday night. Warriors huge third quarter keys comeback winStephen Curry scored 20 of his 35 points in the third quarter of the Warriors 124116 win at Philadelphia. Peacock saves Astros Brad Peacock earned a save in the Astros win in Game 3 of the World Series by getting the last 11 outs of the game. Peacock is the third pitcher in major-league history to earn a save of at least 11 outs in a World Series game. 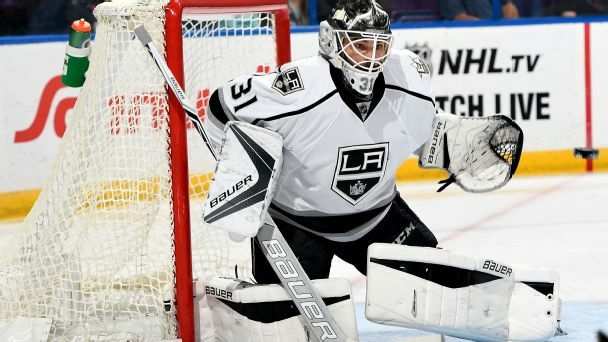 The Los Angeles Kings have acquired Ben Bishop and a fifth-round pick in the 2017 draft from the Tampa Bay Lightning in exchange for Peter Budaj, Erik Cernak and two draft picks. Kings GK Peter Budaj chats with Scott Burnside about his transition from the AHL to the NHL, filling in for injured starter Jonathan Quick, how he came to playing the position and much more. 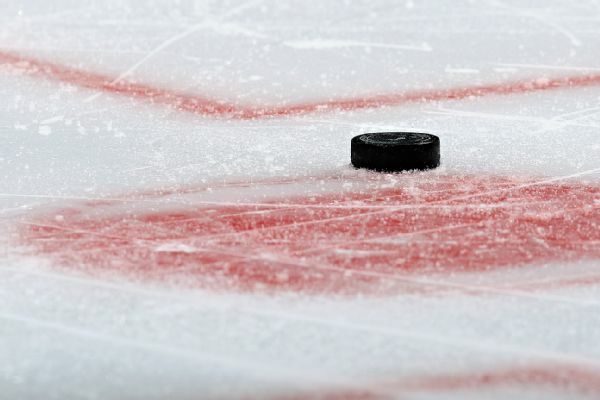 Sebastian Aho scored four goals -- including two game-winners -- to help the Carolina Hurricanes to three wins last week and earn top honors. 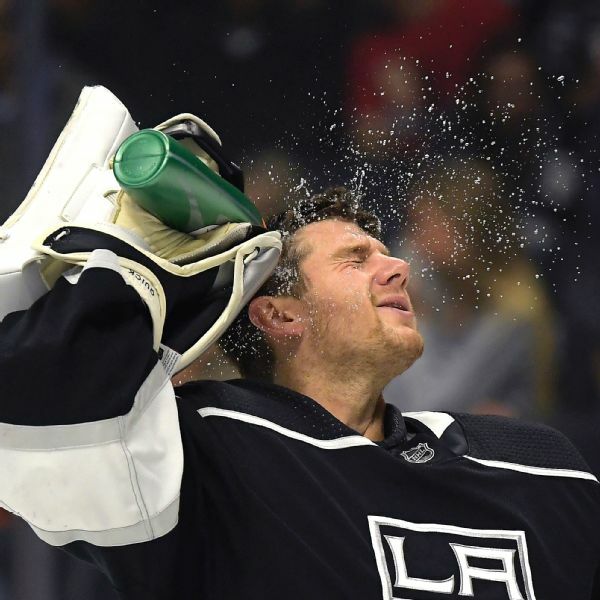 Kings GM: Quick expected to return in mid-Feb.
Los Angeles Kings goalie Jonathan Quick is expected to return from a lower-body injury in mid-February, Kings GM Dean Lombardi told ESPN.